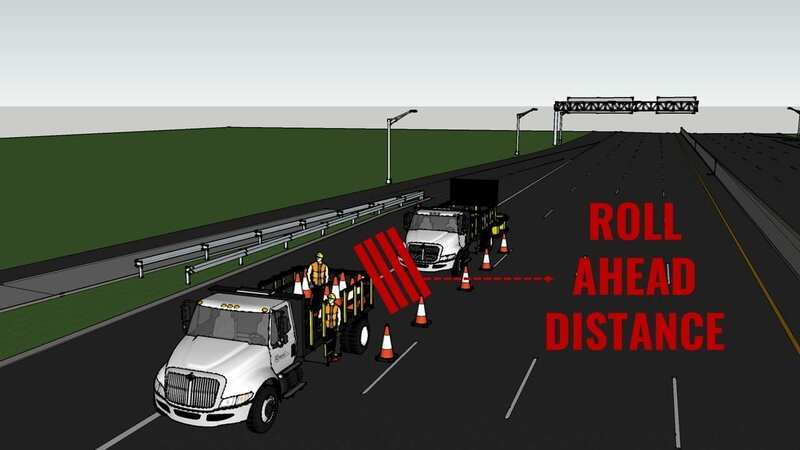 In highway work zones, truck mounted attenuators (TMA) are used as a barrier between oncoming traffic and the workers in the area. On roads where traffic is exceeding 45 miles per hour, the presence of a TMA truck represents the difference between a fatal accident and one in which everyone involved can walk away alive. Upon taking the impact of a collision, the energy transferred from the other vehicle causes the TMA truck to roll forward into the work zone, and potentially into the people it is protecting. This is why proper placement of the truck is especially essential to protecting the workers in the area. A truck too close to the workers puts their safety in jeopardy because of the truck’s roll ahead distance upon collision. 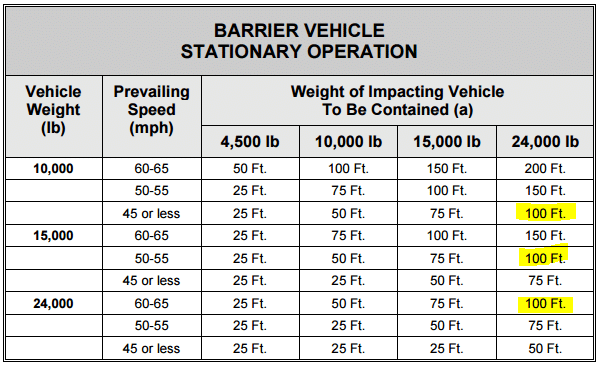 Here are the two numbers you need to know about TMA truck roll ahead distance. The first number you need to know in terms of roll ahead distance is 150. 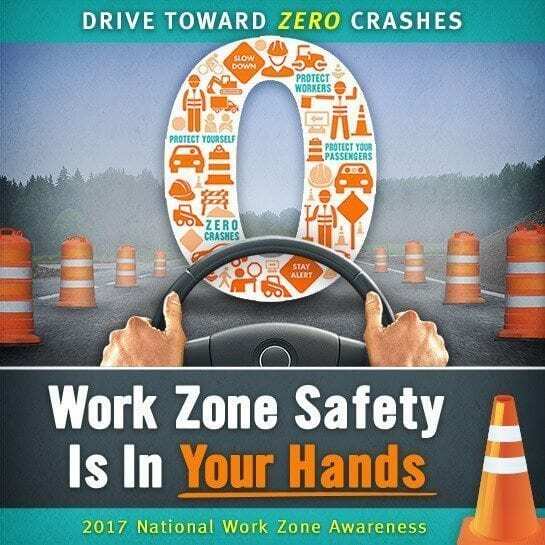 When parked, a TMA truck should be 150 feet from your crew in a work zone. According to J.B. Humphreys and T.D. 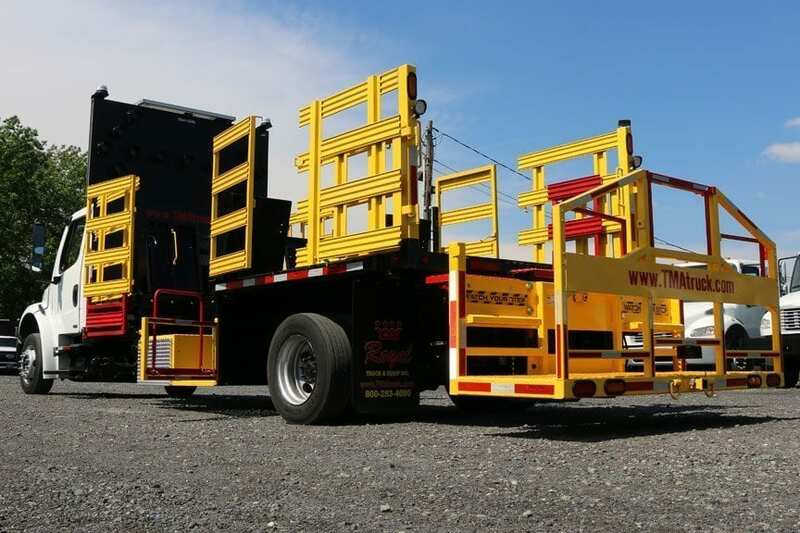 Sullivan, “Guidelines for the Use of Truck-Mounted Attenuators”, a TMA truck will roll approximately 100 feet if it is parked when it is struck by a vehicle. 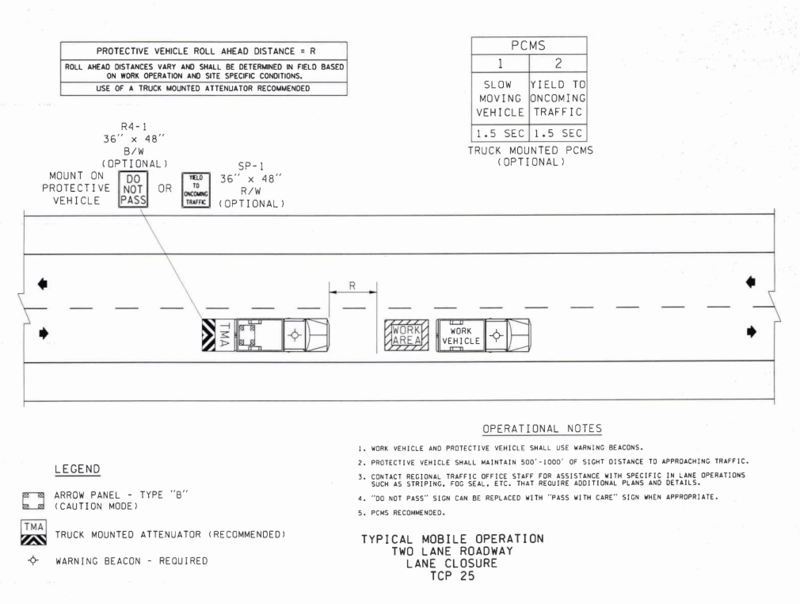 This allows for a buffer zone of 50 feet between the workers in the zone and the predicted landing space of TMA truck after allowing for its roll ahead distance. Ensuring a stationary TMA truck is parked 150 feet from the crew it protects guarantees maximum safety for the workers. The second number you need to know about a TMA truck’s roll ahead distance is 225. As you know, in some work zones, such as in line painting operations, it is necessary for the TMA truck to be moving and following the crew. In these situations, a TMA truck should be consistently 225 feet away from the crew it is working with. 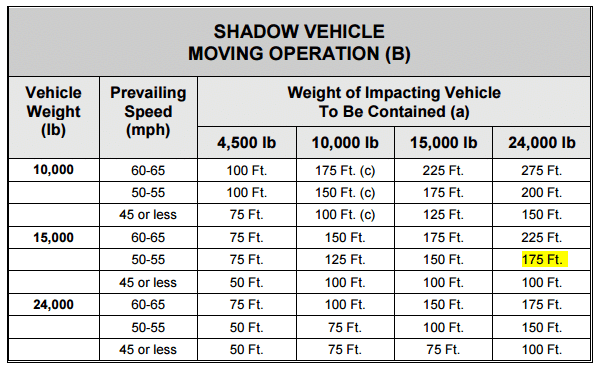 Many Department of Transportations require that the truck be positioned 225 feet, because the TMA truck will roll ahead 175 feet when struck by a vehicle if it is already moving. Again, this allows for 50 feet of space between the work crew and the estimated location of the truck after it rolls post-collision. By leaving us your name and email address below, you can download a fully-customizable flyer for your company about TMA truck roll ahead distances! I was interested in Roll Ahead distances for a flagging class I teach for TDOT. Your information was helpful! Thank you Duane! We love to hear that! This is very much helpful, and I’m recommending to all. Thanks Lincoln! We are glad we can help!